In the winter, people will always add a few new cashemre sweaters to their wardrobes. The sweaters have become soft, fashionable, comfortable to wear, not wrinkled, stretchable, breathable and hygroscopic. A fashionable item that people love. But many people don't know how to buy sweaters. Where is the difference between cashmere sweaters and woolen sweaters? Today, we will answer them in detail. 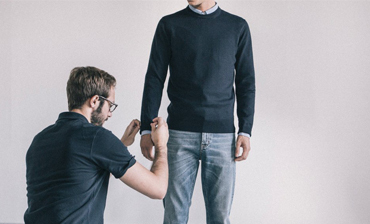 Check whether the stitching of the sweater is tight, whether the seam is thick, and whether the stitching (needle spacing) is uniform; whether the stitching of the seam is neatly wrapped, such as the stitching to reveal the seam, it is easy to crack, which will affect the life. 1. From the grade point of view, cashmere is known as soft gold, is synonymous with luxury, and woolen sweater is an ordinary product. 2. 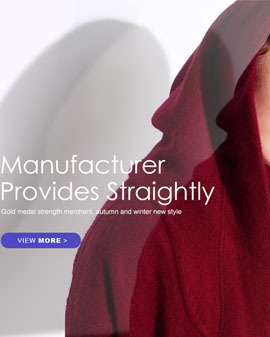 From the brand situation, the brand operation of cashmere is obviously worse than that of woolen sweaters. Therefore, the price of domestic high-end sweaters is not much lower than that of cashmere sweaters, even higher than that of mid-range cashmere sweaters. 3. From the design point of view, cashmere has some limitations in dyeing, so the color is not as good as wool sweater. From the perspective of warmth, cashmere sweaters are better than sweaters. But the cashmere sweater is best worn close to the body, so that the warmth is better. Cardigans are not suitable for close-fitting because of their thick fibers. 4. From the perspective of fabrics, cashmere sweater fibers are thinner than woolen sweaters, and there are balloons in the wear, while sweaters are generally not or lighter.